Provide a very good income for indigenous outstations and communities with a view to eliminating government handouts, right across the north of Australia. Help eliminate chemical additives in food products with a replacement from the plant world. Aid in proving a healthy alternative to artificial chemical medicines and cosmetics. 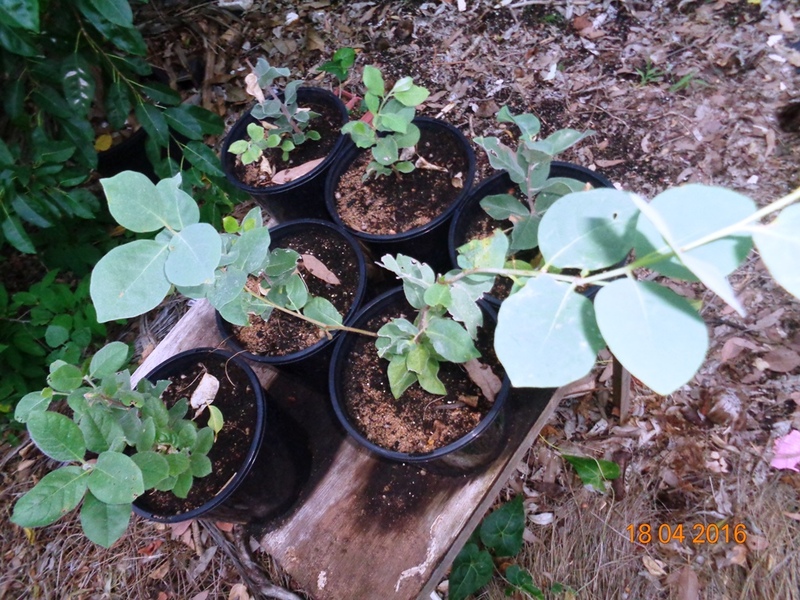 Plan and implement Savannah Enrichment plantings, to augment the current small wild harvest. Remove a fast growing weed tree spreading across the north (Neem), and other weeds, and replace with the native trees we select. The tree species found to cover all these points is Terminalia ferdinandiana, and a few other Terminalia relatives. 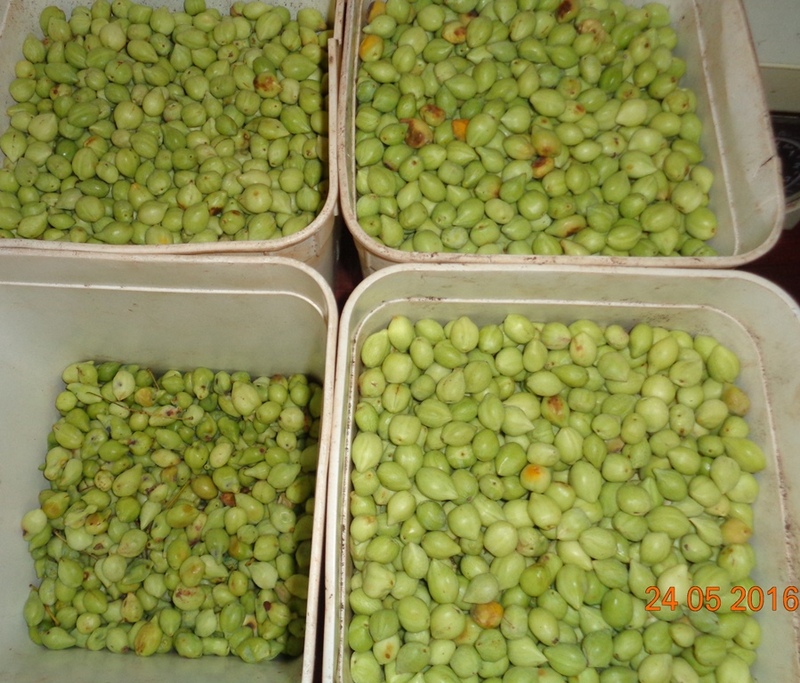 About the size of olives, this fruit has been eaten by people for as long as Australia has been inhabited, but only now is it’s value known b y the science community. Best known as the fruit with the highest vitaminC, Dr Sultan-Bawa has found many other varieties of acids, sugars and polyphenols, from which the new formulas are produced. 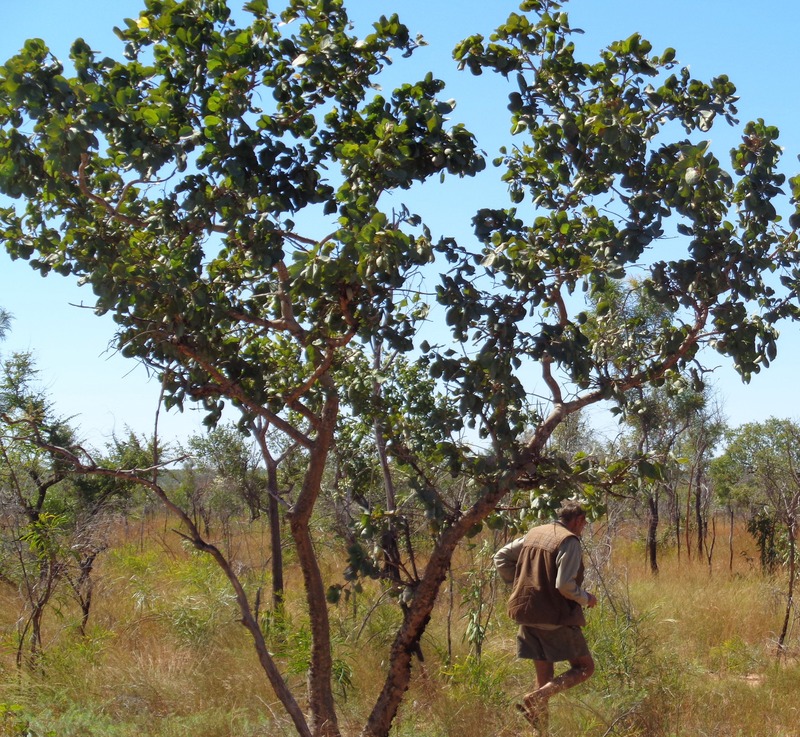 Trials have been under way for several years, and the products are available in small quantities from wild harvesting, while our group has begun planting a few thousand trees, and planning much more across the north of Australia. Here in Broome we have been fortunate to have the (Tony Abbott’s) Green Army Projects involved, removing weeds and planting this species and some companion species to aid pollination. 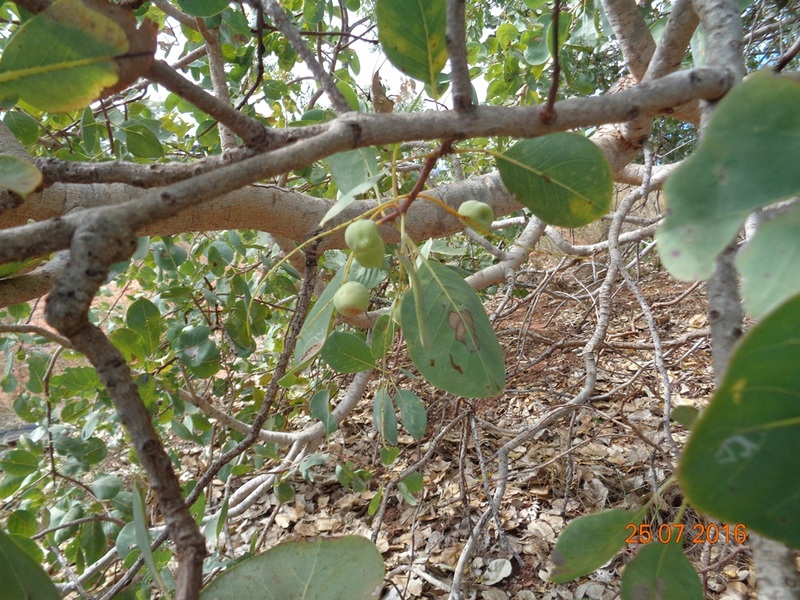 Locally this fruit is known as Gubinge, and in the NT it is called the Kakadu Plum. 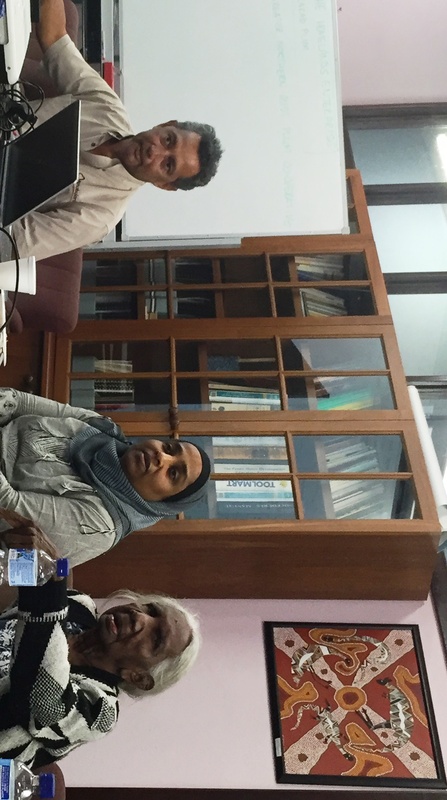 More details will come once Dr Sultan-Bawa’s research is published. The Seafood Industry is the first to replace SO2 in preserving prawns by dipping in a Gubinge fruit glaze. 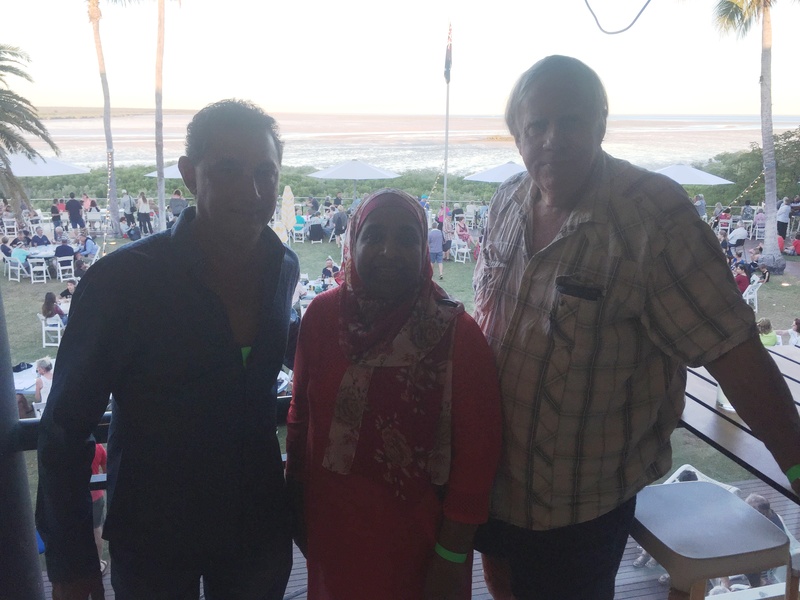 Dr Sultan-Bawa pictured, centre, with some indigenous traditional owners discussing the future of Gubinge with interested parties in Broome. A partnership is being formed between traditional owners right across Australia’s North. Health Benefits. 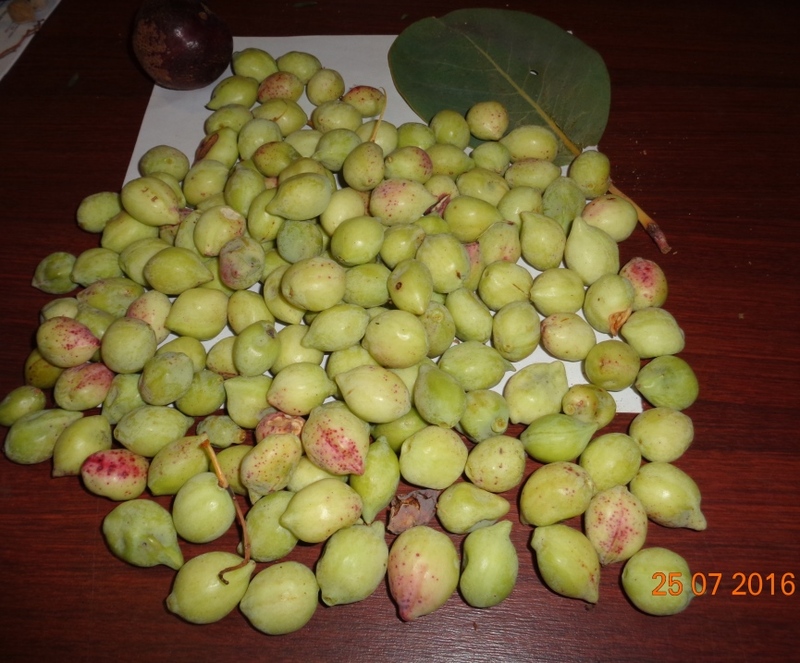 Gubinge is a bush plum; there’s a lot of hype around stuff coming out of the Amazon, Acai and so on, but Gubinge is a really powerful indigenous Australian superfood. It’s the highest natural source of Vitamin C on the planet, and that’s been verified. A number of other indigenous species are also being scientifically examined at the Queensland University Food Science wing. This fruit has also been found to benefit cancer treatment and Alzheimer’s disease. This entry was posted in Broome/Kimberley, Environment, Health, Resources, science, technology and tagged Broome, Dr Yasmina Sultan-Bawa, environment, gubinge, kakadu plum, kimberley region, MAC, Mamabulanjin, nature, Neil Gower, research, science, science and technology, Vitamin C. Bookmark the permalink.